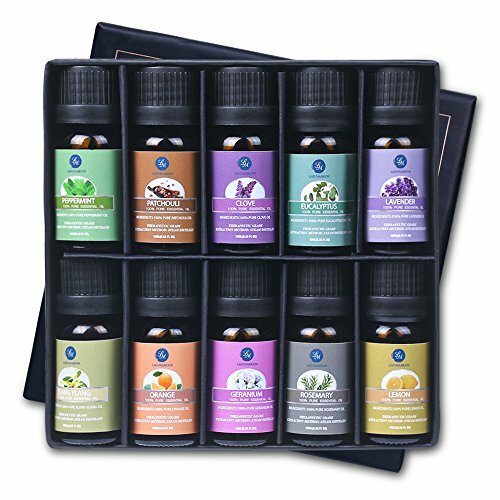 Lagunamoon Top 10 Aromatheraphy Essential Oils Gift Set,ideal for aromatherapy,spa,massage,home cleansing purpose. Lagunamoon believes that BEAUTY lies in a healthy mind, body and spirit. We offer therapeutic-grade essential oils for your healthy and natural lifestyle along with the most inovative beauty products including skincare and nail polishes to help women to pursue their own kind of beautiful. These aromatherapy oils promote security, confidence, positive mood, and balancing effect on emotions. "Meditation Guru" increases cognitive functions, optimism, clarity, emotional balance, memory, clear thinking, concentration, positive mood, and confidence.